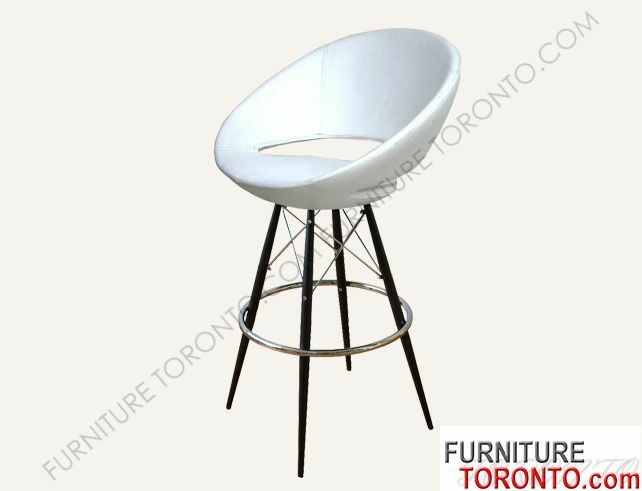 Bar or Counter leatherette stool is a unique stool with a comfortable upholstered seat and backrest on a steel frame. 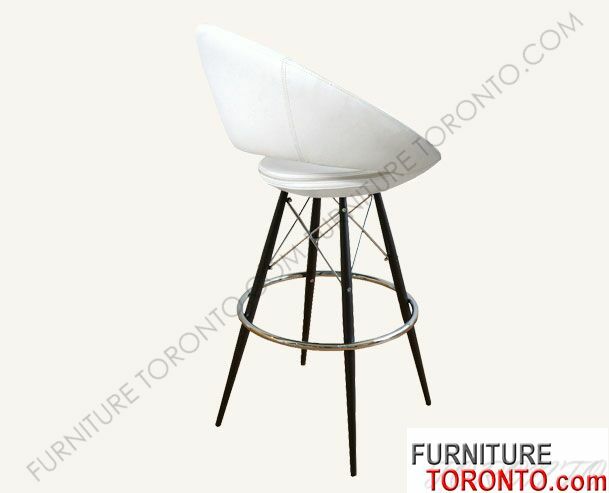 Metal legs available with black powder, natural color as well as stainless steel finishes. 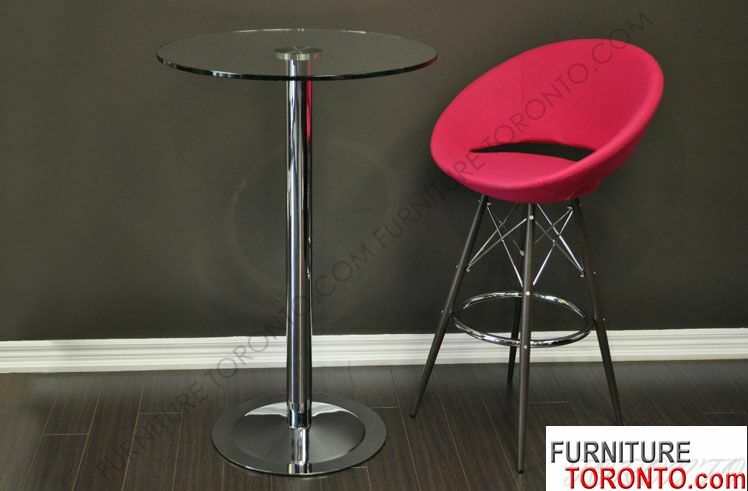 With its chromed steel tubular footrests, it becomes an ideal solution for kitchen and bar counters. Having the footrests be fixed outside or inside of the four-leg frame is optional. The seat has a steel structure with "S" shape springs for extra flexibility and strength. This steel frame molded by injecting polyurethane foam. It's seat is upholstered with a removable zipper enclosed leather, leatherette or wool fabric slip cover. 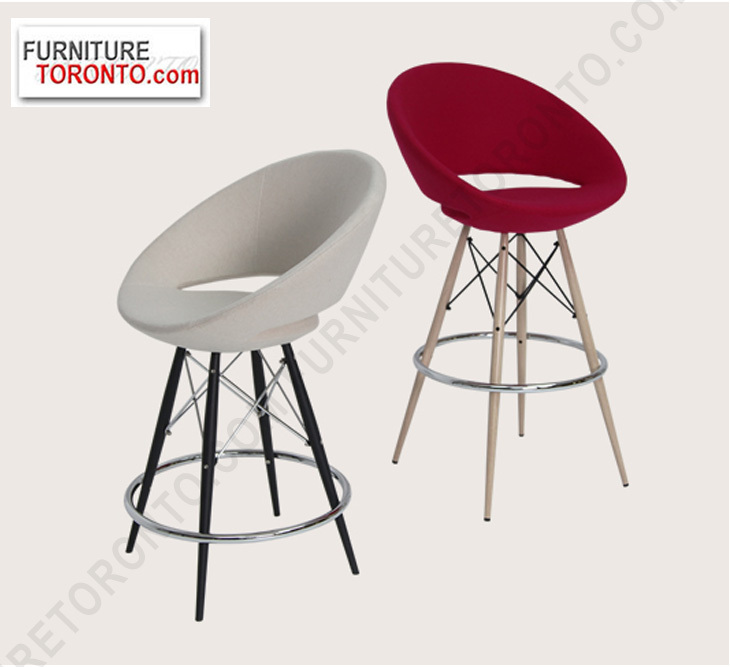 The stool is suitable for both residential and commercial use and can be ordered as counter or bar stool. Price may very on fabric option. Counter Height: H 35" X W 22.5" X D 24", SH 23"
Bar Height: H 41" X W 22.5" X D 24", SH 29"
Add $39.99 for swivel option.